Reflective Measurement Systems Ltd. provides the RetroTek technology to measure the reflectivity of markings. The Estonian Road Administration (ERA) carried out a pilot project in 2017 to measure the retroreflectivity of road markings on all main state roads, altogether 3721.6 kilometres, in Estonia. Retroreflectivity of a material is one technology used to enhance the readability and perception of information displayed in low-light and night-time conditions. The retroreflectivity of road markings provides visual guidance to assist a driver’s awareness of lanes and road edges. It grants an effective traffic flow, comfortable driving experience and a safe traffic environment. Easily seen road markings improve road users’ safety, especially in low-light and night-time conditions. ERC Consulting Ltd. and Reflective Measurement Systems Ltd. carried out a pilot project for ERA, measuring the retroreflectivity (RL) of road markings on all main state roads. 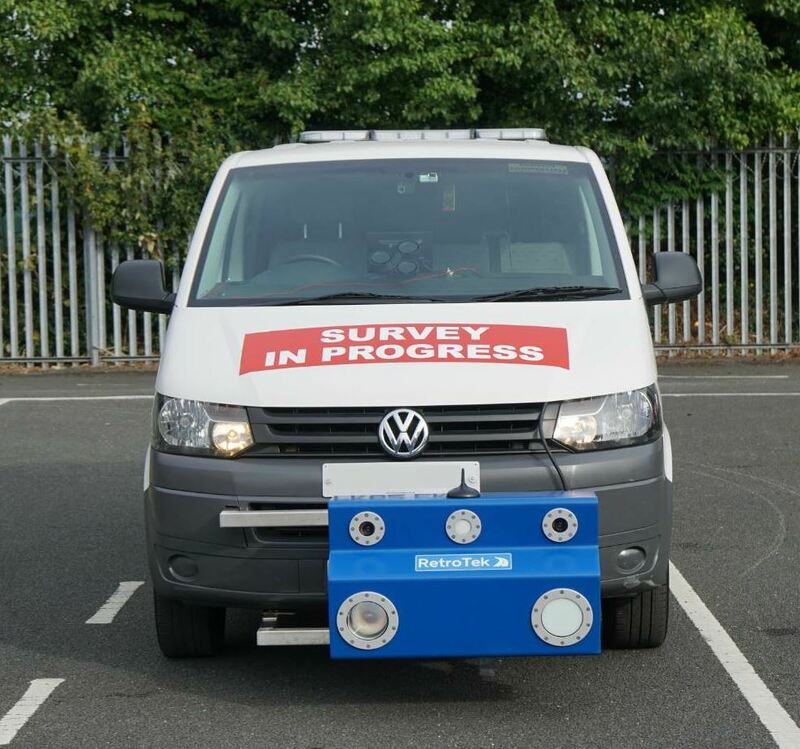 Retroreflectivity surveys were carried out using the RetroTek-M Retroreflectometer. The RetroTek technology is designed to carry out surveys across the full lane width and at all traffic speeds. Data that is collected includes retroreflectivity of road markings (lines, symbols, arrows etc.) and presence or absence of road markers. The RetroTek technology is the next generation in dynamic traffic-speed mobile retroreflectometers. Survey results from all main state roads in Estonia showed the condition of reflective markings. The uniqueness of the technology lies in its capability to survey across the full width of a traffic lane in one pass, surveying up to 6 different road asset types. The technology can identify right and left lines/markers, as well as center lane road markings in one passing. In summary, of all surveyed main state roads, immediate renewal (where the RL value is below 60) is needed on 7.7 percent of measured roads. That is a little under 300 km. At the same time, another 15 percent (546.5 km) of measured roads have a relatively low RL value (RL = 60 to 80).